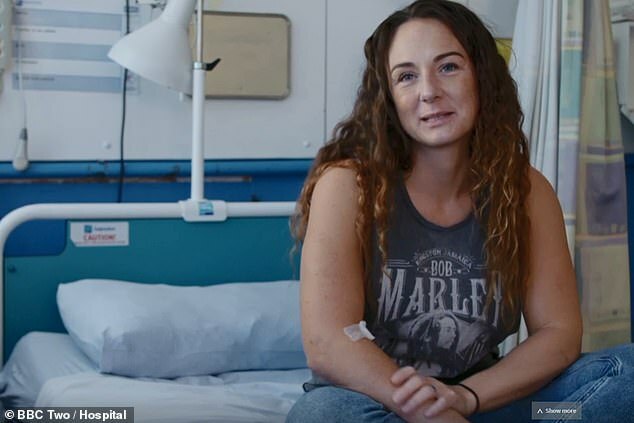 More than 1,300 people raced to join the organ donor register after watching a ‘heart-breaking’ episode of Hospital last night. 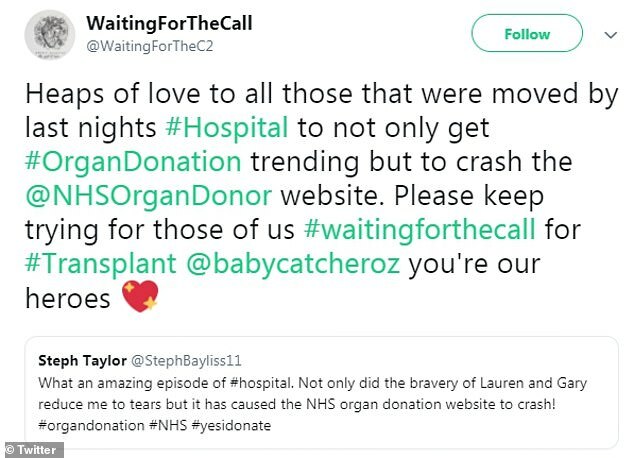 On Twitter viewers said they were struggling to get onto an overloaded NHS Blood and Transplant website during the BBC Two documentary. Only 60 people registered to join the register the day before, suggesting 23 times more people (a 2,218 per cent rise) signed up because of the show. 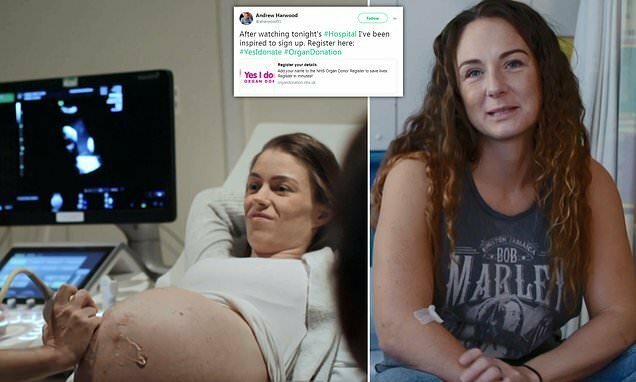 The series’s penultimate episode told the stories of patients due to have transplant surgery and of a mother who wanted to donate tissue from her terminally ill baby. People watching the programme said they had ‘tears in their eyes’ and were immediately moved to sign up to be donors themselves. 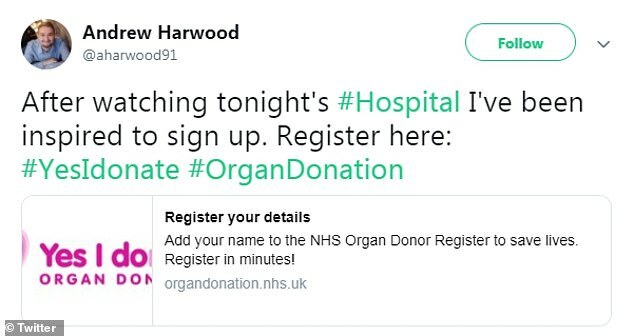 NHS Blood and Transplant said it saw a ‘huge increase’ in people signing up to be donors between 9pm and 11pm last night. ‘We’re delighted that BBC Hospital inspired so many people to sign up as organ donors,’ said Andrea Ttofa, head of organ donation marketing. ‘We know personal stories of donation and transplantation are extremely powerful and prompt people to sign up to save lives. Last night’s episode, the fifth in the series, followed doctors and patients at the Royal Liverpool University Hospital and Liverpool Women’s Hospital. It followed Pamela, Collette and Michael, and Lauren and Gary, who were all waiting to have transplant surgery of some kind. 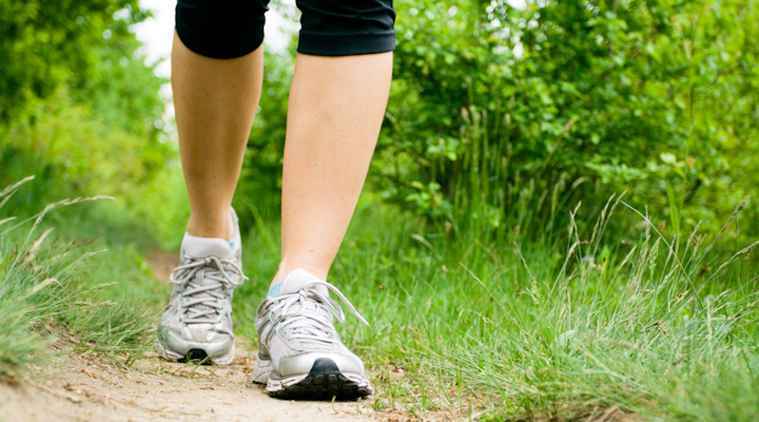 Pamela, in her mid-fifties, was given just 24 hours to prepare for a kidney transplant she had been waiting for for six months because her own only had five per cent of their original function. Collette, 33, donated a kidney to her 36-year-old brother whose own had stopped working. 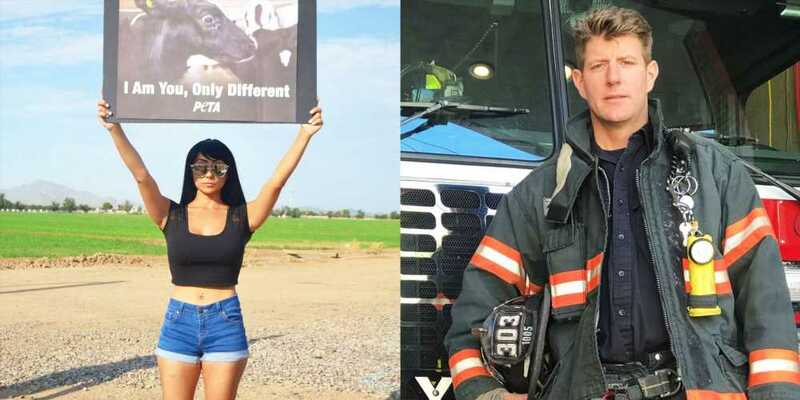 And Lauren, 27, was pregnant with twins wanted to donate tissues from one of the babies – Albi – who had a genetic disease meaning he would die shortly after birth. 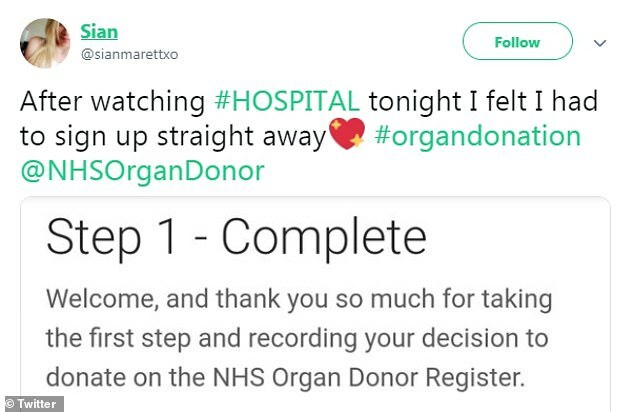 As the programme highlighted the small number of organs available to a lot of waiting donors, people on Twitter said they were moved to try and make a difference. 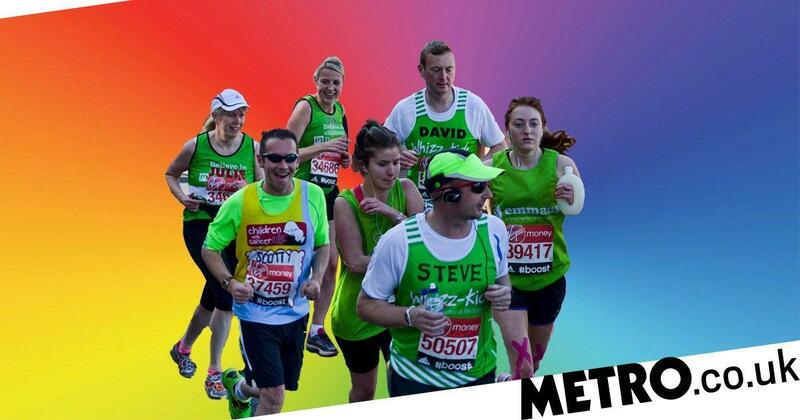 The credits revealed that, while 80 per cent of adults in the UK support organ donation, only 38 per cent of them have signed up to the register. 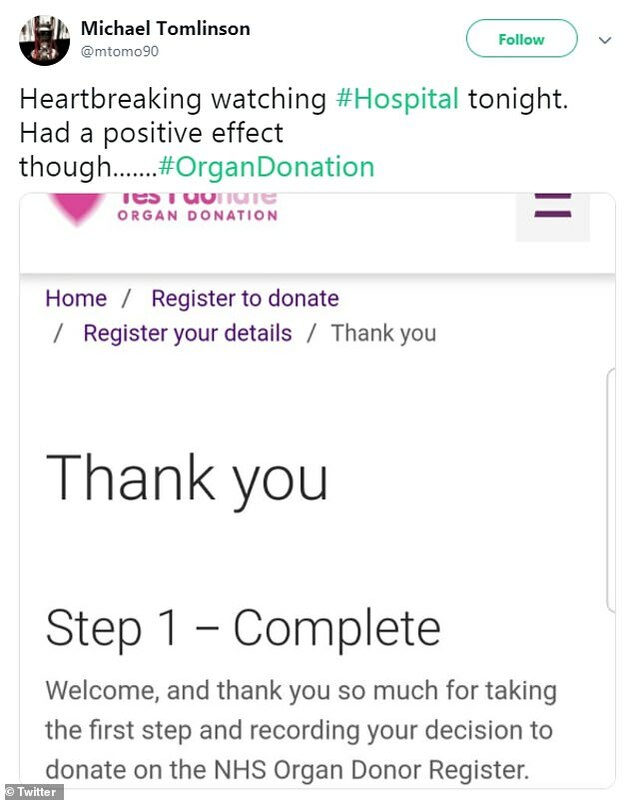 But scores of Hospital viewers did their part last night and got #organdonation trending on Twitter. User Sian said: ‘After watching #Hospital tonight I felt I had to sign up straight away’. Ian Fearnley said: ‘Let’s share and get the ball rolling… I’ve signed up to be an organ donor’. Michael Tomlinson said: ‘Heartbreaking watching #Hospital tonight. Had a positive effect,’ alongside a photo confirming he had signed up. 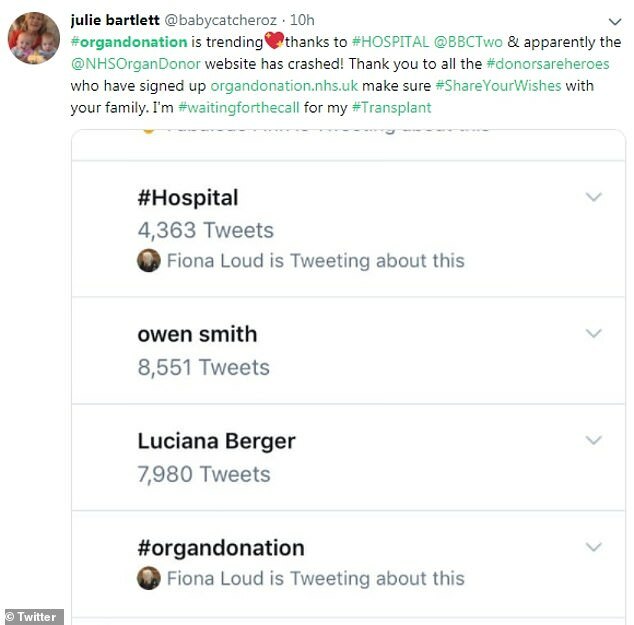 There were even reports of people struggling to get onto the NHS Blood and Transplant website, with some claiming it had ‘crashed’. An opt-out system for organ donation will soon become law in England after it passed its final hurdle in Parliament. Adults will be presumed to be organ donors unless they have explicitly asked not to have them taken after they die. Experts say the move could save 700 lives a year. The House of Lords this month gave its approval to the law, which is now in its final Parliamentary stages after it cleared the Commons last year. In 2017, some 411 Britons died before the right donor could be found and more than 5,000 are currently on the waiting list in England alone. Wales introduced an opt-out system in 2015, while the Scottish government has also tabled legislation on the issue. The new legislation is set to be called Max and Keira’s Law, after heart transplant patient Max Johnson, 11, and his donor Keira Ball, who saved his life after dying in a car crash aged nine in 2017. Sign up to be an organ donor here. A spokesperson for NHS Blood and Transplant this morning denied the website had gone down overnight. 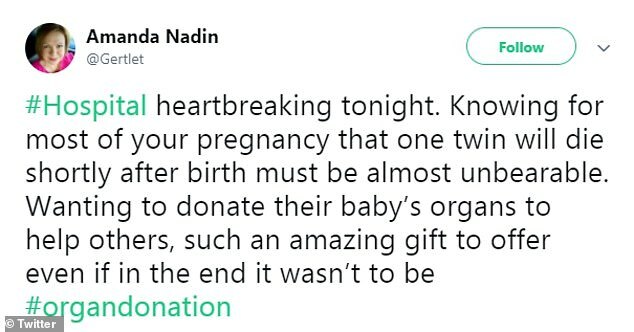 As well as being moved to become organ donors, people on Twitter voiced their sympathy for Lauren, whose son, Albi, died just hours after being born. Amanda Nadin said: ‘#Hospital heartbreaking tonight. Knowing for most of your pregnancy that one twin will die shortly after birth must be unbearable. ‘Wanting to donate their baby’s organs to help others, such an amazing gift to offer even if in the end it wasn’t to be’. Sign up to be an organ donor on the NHS website. Amanda Nadin tweeted: ‘#Hospital heartbreaking tonight. Knowing for most of your pregnancy that one twin will die shortly after birth must be unbearable.